And the final rows for this week are something completely new- it’s popcorns! Popcorns are worked differently to Bobbles and protrude more and don’t flatten easily so they’re perfect for resembling pebbles! Here’s how to make a Popcorn: 4tr in the next st, drop the loop from the hook, insert hook from front to back (when RS of work is facing) or from back to front (when WS of work is facing) in first tr of 4-tr group, pick up dropped loop and pull through the first tr. This blanket is a big design project for me but at only 4 rows per week it is manageable! 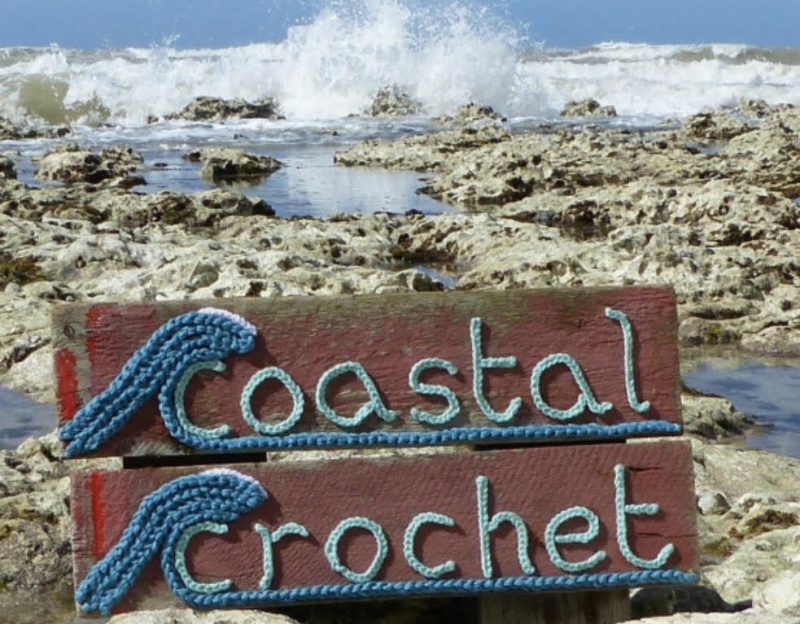 I’m still busy crocheting other projects in the background and I hope to be able to reveal some of those soon…I have some exciting design projects in the pipeline! But I can share this photo of a stunning yarn delivery I just received… these are hand dyed by Miss Moffat Yarns – I’m a big fan of hand dyed yarns and I have followed this yarn dyer on Instagram for a while and have been tempted by her seaside inspired colourways. I loved seeing your feature yesterday, i had to show my partner. Lol. Another lovely week of rows. Just right amount of rows each week, means i can do other projects inbetween. I love those colours of the skeins. Beautiful. Well done on the magazine feature. Congratulations Ele, it’s amazing how you can inspired people over the whole world and it’s so lovely to see you in another magazine!!! The article is how I discovered you and the CAL….love it as I recently spent several months on “grandma duty” in GalvestonTexas, US and spent every day at the beach! Sure do miss it and your CAL brings back good memories with every stitch! As soon as I saw those popcorns, I thought ‘pebbles’! Thank you for the videos. Your written instructions are always fab but the videos have been really handy for giving me confidence that I’ve actually followed them right! This one helped me to make sure I put my hook through the right part of the stitch to complete the popcorn stitch.